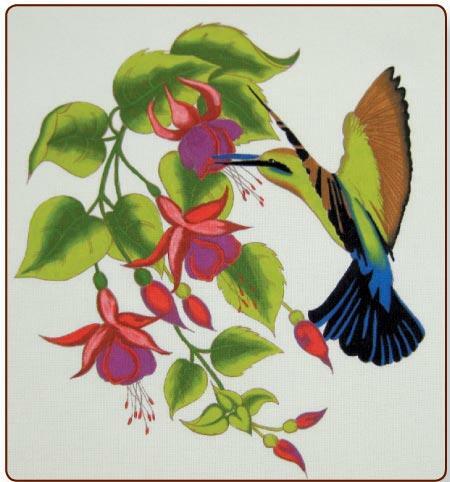 Hummingbird and Fuchsia blossoms in striking colours. 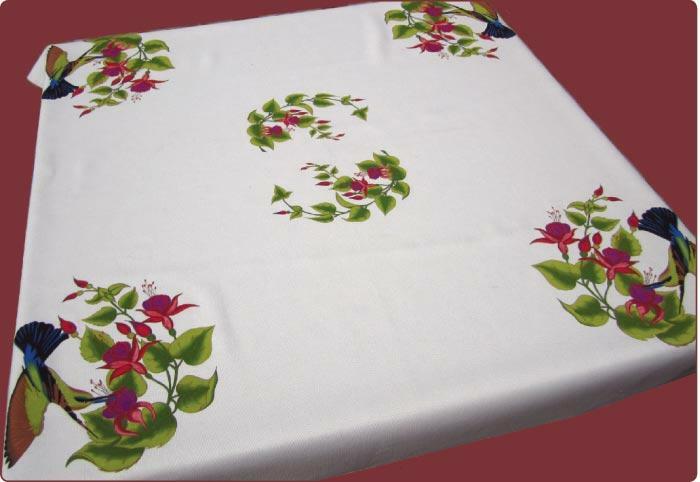 Printed on luxury cream polycotton, measuring 110cm square. Requires colours: 1, 9, 16, 25, 28, 73, 76, 77.